It’s Your Name – Take Control Of It. You work hard to build a great reputation. Make sure your Google results reflect that. 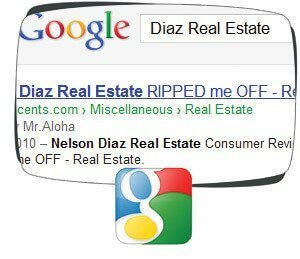 The most important Google results for any business is the first page of results that come up when their company name is directly typed in. Our reputation management experts create a strategy for every client to suppress the existing negative results & protect the first page from future negative search results. Arrays of positive content is created by the reputation management consultants across multiple channels. We create content on the basis of existing information and press in the market about your company. It can be about the reputable characteristics of your top products, positive depiction of the CEO, etc. Ginger Domain has vast experience in getting positive press on major news sites like Google News, Yahoo News, etc. for our clients. Also, we distribute this press release to over 250,000 subscribers and 30,000 journalists as well. All this ensures that a good amount of positive content about your company is available on trusted and leading news sites. One thing that adds credibility to your company is videos showing up on the first page of search results. 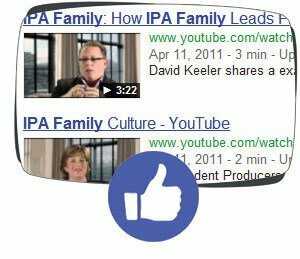 Google allows about two videos typically showing up on the first page of search results. To bring about this technique, we will either create a set of new videos or work on the existing videos. The videos may be about the company’s products or services. The findings of “Cone Consumer Influence Study,” shows that 85% of consumers will go online to find more information about your company before they make a buying decision concerning your product or service. 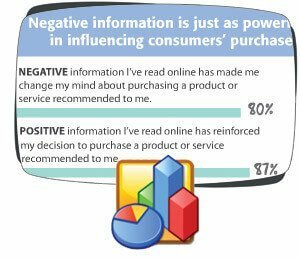 The same study identified that out of every 5 consumers, at least 4 are prone to reverse purchase decisions if they find negative information about your product or service. It can be inferred from this, that one negative search result could cost about 80% of the potential sales for your company. Additional surveys were conducted under the Cone Study for products and services of varying price range. It is that about 89% of the consumers tend to perform extensive research for the moderate and high cost products and services of the company.